Well, when you put it that way. 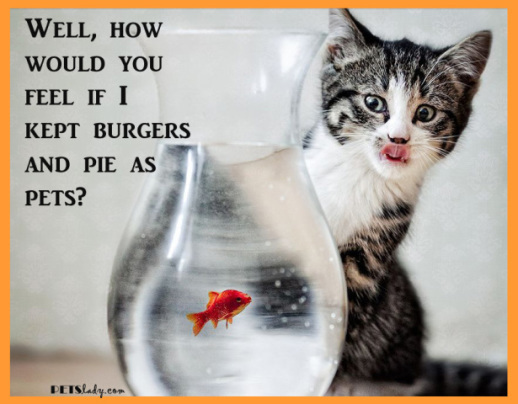 Today's Petslady Funny features this hungry kitty putting the cat life in perspective for us with some kitten logic: "Well, how would you feel if I kept burgers and pie as pets?" Come on, I just want a meowthful? Life is so unfair. Image Source: Attack Of The Cute. The "I Don't Want This in my House!" Animal Video of the Day!! !